We aim to be a one stop shop for all things related to homebrewing, from our recipe builder to inventory management, we have your back. We aim to help make your homebrewing life easier. This system is built and maintained by homebrewers that strive on quality. 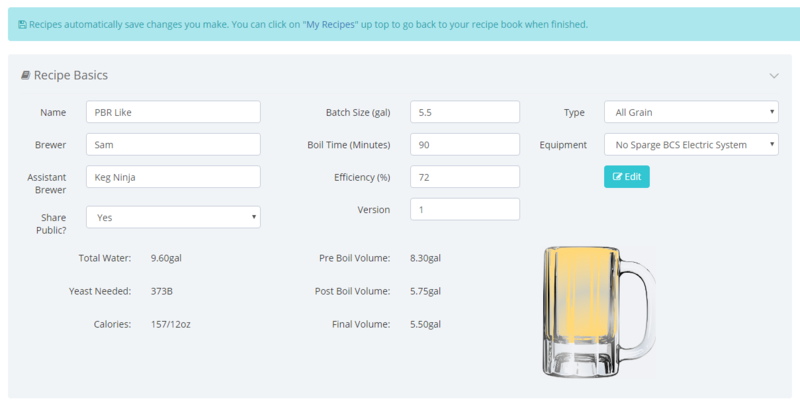 We got tired of having recipes in one program and not being able to have access to them on brew day without apps or printing them out. Losing brew day notes or not knowing what beer they belong to. And we hate after a long days work, when you go to pull a drink off your kegerator and the tap kicks with nothing there to back it up. Our goal is to help keep you and your brewery more organized and give you a complete management system of everything related to your brewing needs. Check out the Documentation page for more info!